Are you ready to hit the beach, or are you just strolling out there in the sun, running errands and juggling things in your busy life? In any case – in the sun bed, on the streets or behind a huge glass window in your office, you need to wear sunscreen smartly. Let’s see the most important guidelines! As long as the sun shines, wear sunscreen and reapply it regularly. Listen to your skin, not so much to the instructions written on the packaging. Luckily, you can feel the burn, if you really listen to your body. Some dermatologists say that you should reapply every 2 hours, yet better apply any moment you don’t feel safe in your own skin. Invest on a high-quality sunscreen; not necessarily a very expensive one but definitely not what you find only in supermarkets at the lowest possible price point. Check the ingredients to avoid toxic elements and make sure you pick something with broad spectrum coverage both from UVA and UVB radiation. My own favorite brands and well-known for protecting our skin effectively include Dior, Lancaster, Clarins, Shiseido, Kanebo, La Roche-Posay and Vichy. Find a texture that best meets your needs. Some people love fluid creams and lotions in sprays because they are super absorbable and easy to apply all over the body. Others hate sprays because the whole lotion goes with the wind, when it’s windy! Some ladies prefer as face sunscreen a makeup product in a compact package. They love to puff the powder on their skin and reapply on the beach, always in style. There are even those who prefer a thick white cream because you can see the product on you and you feel more protected. And there also those ‘queens of the beach’ who prefer oil. Good news is that now oils which offer a silky, shiny texture come in higher SPF contrary to similar products in the past, which were SPF 2 or SPF 8 at the most! Apply it properly. You more or less need quantity equal to one vodka shot or a ‘palmful’ and you need to apply over all exposed areas of your skin half an hour before you get out in the sun! Put product on every hidden angle of your body that will not be covered with clothes. Check your ankles, the back of your ears, your knees, everything! Ask for help. Nobody is really able to perfectly apply sunscreen on their own back, so please recruit your hubby, girlfriend, or other ‘loved one’ being willing to help in this! Do not use sunscreen you’ve got from the previous summer. It’s true that sometimes we overbuy and cannot consume all these quantities in one season, but this is something you have to control. Like any other cosmetic product, sunscreens expire and they are no longer of use. Forget about waterproof sunscreen. There is no such think. Even water-resistant is for limited time – no more than 40 minutes on average – and after that you really can’t still rely on that first application. Ideal SPF is 30 – less isn’t more, and more is usually a marketing trick. SPF 60 isn’t twice safer or protective. 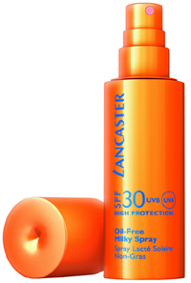 SPF 30 can give you 96% protection from sunburn and no higher SPF can get you 100% shield from sun damage. So, just grab your hat, wear it, cover your shoulders with a sarong or towel when your skin feels frying and stay under a proper shade – canopy, umbrella or other tent! I want to ask one thing that do we need to apply sunscreen cream every single time we go out in a single day, or just once?